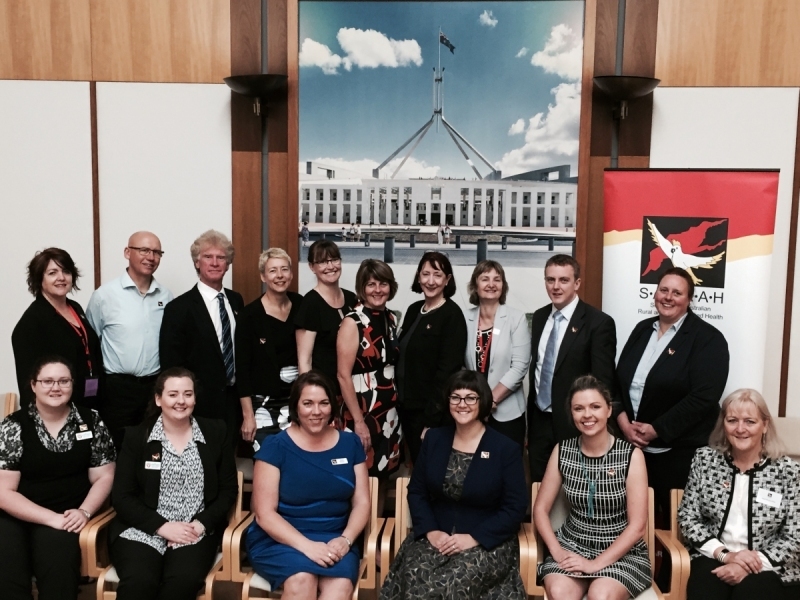 The 2015 SARRAH Summit was held from Sunday 11 October to Wednesday 14 October 2015 in Canberra. The Summit which is held every two years provides a forum to discuss, develop and promote strategies to enhance the health and wellbeing of people who live in rural and remote communities. SARRAH members and delegates came together this year to discuss key issues faced by allied health services based in rural and remote Australia. Delegates then had the opportunity to raise these issues face-to-face with key Federal parliamentarians. SARRAH delegates met with Peter Tucker, Chief of Staff to Mr Andrew Wilkie MP (Independent - TAS; Chair of the Parliamentary Friendship Group for Rural and Remote Allied Health), Senator Nick Xenophon (Independent - SA), Senator Jacqui Lambie (Independent - TAS), Senator Zhenwa Wang (Palmer United Party - WA), Senator Richard Di Natale (Leader of the Greens and Spokesperson for Health), The Hon Catherine King MP (Labor - Shadow Minister for Health), Mr Stephen Jones MP (Labor - Assistant Shadow Minister for Health) and Senator Zed Seselja (Liberal - ACT - Chair of the Senate Community Affairs Legislation Committee). 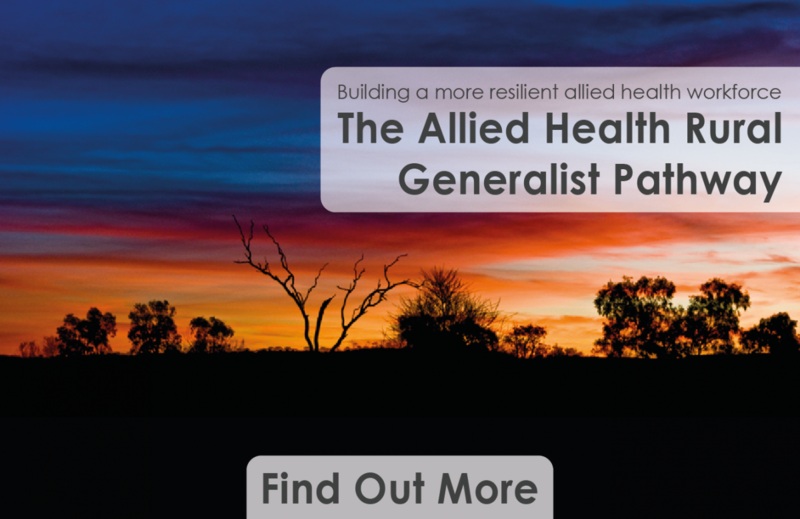 The delegates personally presented a range of case studies highlighting the impact of insufficient resourcing of allied health professionals residing in the bush. Senator Fiona Nash, Minister for Rural Health attended the Kate Scanlon Award Dinner on Monday 12 October 2015. The Award was presented to Claire Johns, a chiropractic student from Tasmania. Claire flew to Canberra for the dinner and thanked SARRAH for the opportunity to further her new career. She plans to use the $5000 to collaborate with the Spinosaurus committee, auspiced by the voluntary health organisation Hands-On-Health Australia. SARRAH's CEO was interviewed by a number of media outlets prior to, and during the Summit. These interviews included, ABC Goulburn Murray - NSW/VIC, ABC Darwin - NT, ABC Riverina - NSW, Central Australian Aboriginal Media Association - NT, Geraldton Newspapers - WA, Gold Coast's Good Taste Radio Station Juice 107.3 - QLD, Hot FM - QLD and Macleay Argus - NSW. Novartis attended the 2015 SARRAH Summit to present the findings of research commissioned by SARRAH into diabetes, osteoarthritis and stroke. The research is due to be released by the end of the year identified $175 million in savings to health care budget which could be realised based on implementing the report’s recommendations.